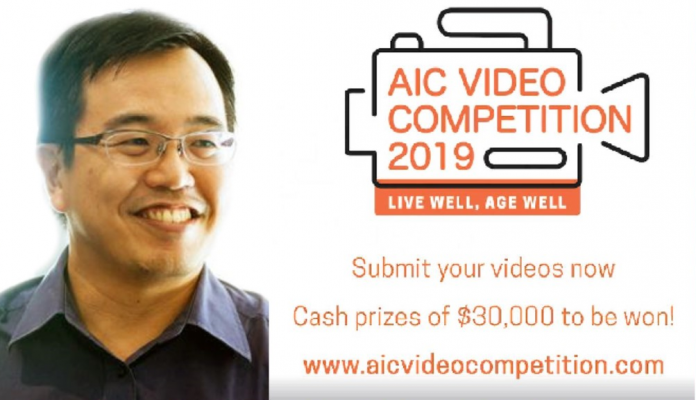 Government agency, The Agency for Integrated Care (AIC), has drawn flak for a video competition that promises to give out a $30,000 cash prize to winners instead of helping senior citizens in a better way. AIC was formed to support senior citizens in Singapore. Its organisational vision is to establish “a vibrant care community enabling people to live well and age gracefully.” This Tuesday, AIC launched a competition and asked the public to send videos of senior citizens telling their stories. 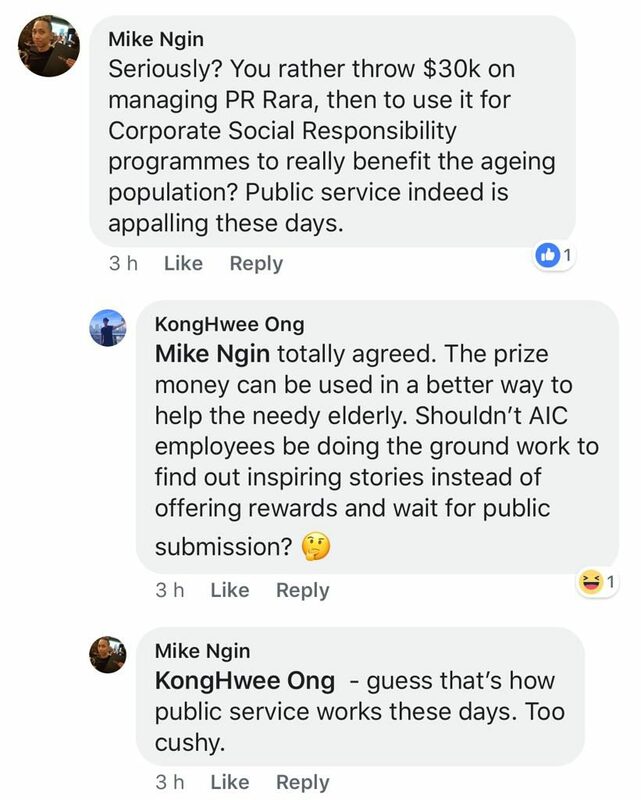 While some netizens jumped at the chance to win $30,000, others questioned why AIC seems to be throwing money away instead of using it to directly benefit the elderly. They also asked why AIC is trying to get the public to find inspiring stories for them instead of doing the ground work themselves. Ngin and Ong had their exchange on AIC’s official Facebook page yesterday evening. One day later, AIC explained why it is organising this competition in a separate comment. The agency said, this evening: “At AIC, we use various avenues to raise awareness of ageing and eldercare among different audiences. The Video Competition is a new initiative where we reach out to those who enjoy telling stories through videos. AIC is presently led by chief executive officer Tan Kwang Cheak. 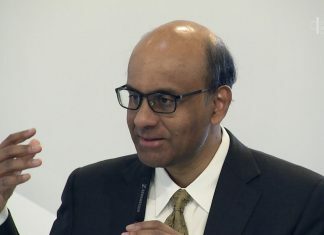 Before joining AIC, Tan has served as Chief Human Resources Officer at NTUC Fairprice Co-Operative and as Human Resources and Talent Development Director at MOH Holdings.